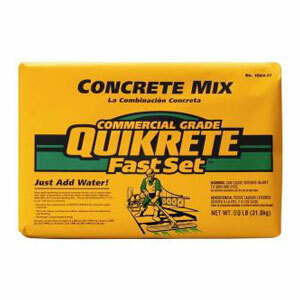 This product is a rapid hardening structural concrete. A special blend of cement with specifically graded fine & coarse aggregates, it sets in 20-30 minutes allowing time for mixing, pouring and finishing. Use at any thickness from 1 1/2″ (3.8 cm) to 24″ (61 cm).